Home > Blog > David Spero > What Causes Type 2 Diabetes? Diabetes means having too much sugar (glucose) in your blood. In Type 2 diabetes, sugars go up because the body’s cells aren’t using the hormone called insulin effectively. What causes this “insulin resistance?” The answers may surprise you. However, Type 2 diabetes is not primarily a disease of behavior. As I showed in my book Diabetes: Sugar-Coated Crisis, it is an environmental illness. • Refined foods. Type 2 diabetes was unknown until the rise of agriculture. Hunters and gatherers don’t get it, but people who eat a lot of grains can. Sugars or low-fiber refined grains like white bread get glucose into our systems very fast. The lower intestine isn’t involved in digesting these refined foods, so it doesn’t produce some of the incretin hormones needed for proper insulin function. Eating refined starches and sugars occasionally doesn’t cause insulin resistance, but too much of them can. • Genetics. Type 2 diabetes has a strong genetic component: If one identical twin has Type 2 diabetes, the other twin has a 70–90% chance of developing it. If one parent has Type 2 diabetes, his or her children have about a 40% chance of developing it in adulthood. If both parents have it, their children have up to a 70% chance of getting it. But are these associations genetic? Or is it that families share the same risk factors such as poverty, bad food, a history of trauma, or physical inactivity? Or is it something else, such as the following? • Intestinal bacteria. Our guts are full of germs (called our gut “microbiome”). Some of them help us digest and use food like starches; some get in the way. We get these bacteria from our natural environment, usually starting with our mothers. The food we eat also influences the bacteria that can grow in our gut. Studies have shown that both people and animals get fatter or thinner depending on what kind of bacteria are dominating their guts. • Poor conditioning. Glucose is fuel. Our bodies need fuel all the time, mostly for maintenance like keeping warm, but also for physical activity. Working muscles burn up a lot of glucose and keep insulin active. Sitting all day at work or entertainment, or standing in place all day at a job, increases insulin resistance. • Stress. The stress response produces a number of hormones that prepare the body for fighting or running from a threat. Those hormones, such as cortisol, increase blood sugar, blood pressure, and insulin resistance. People who face more threat, who have less money, less education, unsafe living situations, or who face discrimination, have more stress and more diabetes. • Trauma. Trauma is sometimes defined as a sudden physical or emotional injury that causes suffering. It could be anything from an auto accident to parents’ divorce, from a house fire or robbery to military service. I think of trauma as stress that never goes away. Once you are traumatized, your body will always feel threatened. Stress hormone levels will stay high, causing insulin resistance. Trauma can be passed down from parents to children and passed around communities. This “historical trauma” probably helps explain the high diabetes rates in African-American and Native American communities. • Fat. Fatness is blamed for causing diabetes. Until recently though, no good mechanisms have been proposed to explain how that might happen. Now some lab studies suggest abdominal fat cells produce chemicals called cytokines that cause inflammation, which might lead to insulin resistance. Dr. Roy Taylor showed in two studies that fat in the liver and the pancreas interferes with insulin function. Insulin doesn’t get produced normally in a fatty pancreas, and it doesn’t work as well in a fatty liver. Reducing the fat by a very-low-calorie diet reversed people’s diabetes. • Poor sleep. Studies show that sleep deprivation, even for one night, increases insulin resistance. Chronic poor sleep is strongly associated with diabetes and may cause it. • Environmental chemicals. As I wrote here, several classes of chemicals are known to increase insulin resistance. These include persistent organic pollutants (POPs) such as dioxins, air pollution, pesticides, plastics called “phthalates,” and flame retardants in furniture. The association between POPs and diabetes is so strong that it explains the entire connection between obesity and diabetes. Fat people with low POP levels do not get more diabetes than thin people. An American study found 37 times more diabetes in people with high levels of POPs in their bodies. • Insulin deficiency. You won’t get diabetes until your pancreas falls behind the increased demand caused by insulin resistance. Insulin production drops off with age, but some think this decline is due to people becoming less active as we get older. 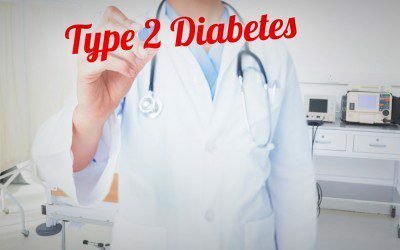 Many times people told they have Type 2 actually have an insulin-production defect such as monogenic diabetes (MODY) or latent autoimmune diabetes (LADA). Some of the causes of insulin resistance listed above also damage insulin production. Now you know how complicated Type 2 diabetes is. You can see diabetes is not your fault; it’s our environment that causes it. Next week I’ll write about what you can do with this information.